We investigated the potential role of silicon in improving tolerance and decreasing cadmium (Cd) toxicity in durum wheat (Triticum turgidum L. durum) either through a reduced Cd uptake or exclusion/sequestration in non-metabolic tissues. For this, plants were grown in hydroponic conditions for 10 days either in presence or absence of 1 mM Si and for 11 additional days in various Cd concentrations (0, 0.5, 5.0 and 50 μM). After harvesting, morphological and physiological parameters as well as elemental concentrations were recorded. Cadmium caused reduction in growth parameters, photosynthetic pigments and mineral nutrient concentrations both in shoots and roots. 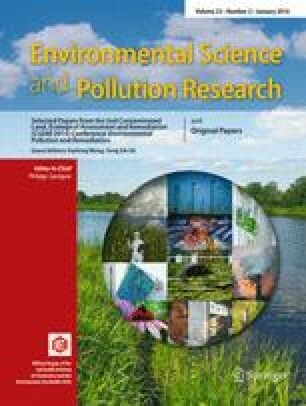 Shoot and root contents of malate, citrate and aconitate increased, while contents of phosphate, nitrate and sulphate decreased with increasing Cd concentrations in plants. Addition of Si to the nutrient solution mitigated these adverse effects: Cd concentration in shoots decreased while concentration of Cd adsorbed at the root cell apoplasmic level increased together with Zn uptake by roots. Overall, total Cd uptake decreased in presence of Si. There was no co-localisation of Cd and Si either at the shoot or at the root levels. No Cd was detected in leaf phytoliths. In roots, Cd was mainly detected in the cortical parenchyma and Si at the endodermis level, while analysis of the outer thin root surface of the plants grown in the 50 μM Cd + 1 mM Si treatment highlighted non-homogeneous Cd and Si enrichments. These data strongly suggest the existence of a root localised protection mechanism consisting in armoring the root surface by Si- and Cd-bearing compounds and in limiting root–shoot translocation. The online version of this article (doi: 10.1007/s11356-015-5351-4) contains supplementary material, which is available to authorized users. This work was financed by the French Institut National des Sciences de l’Univers (INSU, CNRS) programme Ecosphère continentale et côtière (EC2CO). Muhammad Rizwan was financed by the Higher Education Commission (HEC) of Pakistan. We thank Stéphane Jézequel (Arvalis-Institut du Végétal, France) for his help in the selection of the durum wheat cultivar and for providing the seeds, Perrine Chaurand (Aix-Marseille University, France) for the XRF analysis and Wim Voogt (Wageningen University, NL) for providing Si(KOH)2 and expertise concerning Si in nutrient solution. Partial support from BIO-GEO-CLIM project (14.B25.31.0001) of the MinObrNauki is also acknowledged (OP).